As much as we would love to help every single animal in need, we cannot. With the help of our rescue partners and other resources we can! toys, TREats, Tools & healthy pets Too! Animal Healing Arts of Portland - Wonderful, Holistic Veterinary practice in NE Portland, Oregon. We are so glad to have found Dr. Weingardt. BarkBox - What is better than the best, healthiest toys and treats delivered to your door? Having them delivered monthly AND help our rescue efforts! Help us save lives by signing up for BarkBox through www.barkbox.com/PAWSITIVESOULS and they will donate $25 to us. Plus, you’ll get 50% off your first month! Barkertime - Your source for doggy diapers, belly bands, Calming Shirts, and much more. Please use our link when shopping at Barkertime as they give back to our rescue. Boo Boo's Best - Real food treats and food toppers, made with only the best ingredients. Canna Companion - We have just scratched the surface of the benefits of the cannabis plant! If you have not looked into this natural plant for your pet, it's time you do. Dr Peter Dobias - Natural Healing supplements and education. Furry Zen Art - Grace your home or office with a one-of-a-kind pet art piece. The Honest Kitchen - One of our preferred foods. Lupine Pet - Collars, Leashes, and Harnesses with lifetime guarantee. Now offering Eco-options as well. P.L.A.Y. Pet Lifestyle & You - Pet beds and toys with Comfort, Style, and Sustainability in mind. We love it! Rover.com - Whether you need in-home dog boarding, pet sitting, dog walking, or day care, Rover connects pet parents with people who’ll treat your pets like family. Two Rivers Veterinary Clinic - Holistic Veterinary Clinic in North Portland. Integrative medicine at its best! Walk in Sync - Walking and Training system. 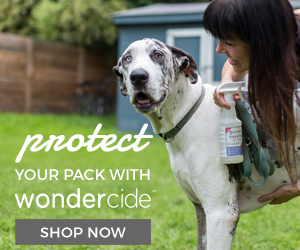 Wondercide - Natural Pet care and Pest control products for your furry friends, home, and yard. Please use our link when shopping Wondercide as they give back to our rescue! Wonder Walker - Harness, halters, and Leashes from the Pacific NW. Whole Dog Journal and Dogs Naturally are two great magazine and websites loaded with Holistic Healing and Positive Training info. Fido's - "World's First Dog Tap House" coming to Beaverton, Oregon in 2018! If you would like to be listed as a rescue partner with us, fill out the form below and one of our staff members will get back to you.